So sad!!!!!! This is the last challenge for Scrapbookaholic by Abby for this DT. I just want to say I'm so grateful for the opportunity to be on this wonderful DT with all of the amazingly talented ladies!!! The card is 4 1/4 by 4 1/4. The heart is from Wall Decor and More. I can't remember where the stamp is from (sorry). I (of course) used gel pens for the stitching and some twine. I used some homemade foam 'pop dots' for added dimension to the heart. Make sure you stop by Scrapbookaholic by Abby to see what the rest of the DT has created! We'd love to see what you create!!!!! The prizes for this challenge AMAZING!!! I wish I had a chance to win those goodies!! Make sure you stop by the sponsors for the challenge as well!!!! As always, thanks so much for stopping by!!!! I'm so glad you came to stop by!! I hope you came after visiting Carley at The Real iCarley (LOVE HER!!!!) If you happened to stop here first, make sure you go to the beginning at Abby at Scrapbookaholic by Abby (LOVE HER TOO!!!!) You're not going to want to miss a thing (not to mention - AWESOME CANDY)!! This hop is all about TEACHERS!!!!!! I'm sure each of you has a wonderful memory about a favorite teacher (I know I do)!!! It takes very special people to be able to teach. My oldest is starting first grade, so I'm a little new to the whole teacher gift thing, but I had a great idea!!!! Unfortunately, I'm afraid you might be a little disappointed (just in me). Let me show you what I have so far and explain . . . 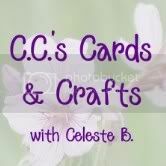 Your next step is Christine at Scrapbooking Technique. You'll love to see what she has created for you (She's so super talented)!!!!!!!!!! Make sure you visit everyone (like I said, you'll love the candy)!!!! Here's the line-up in case you get lost! Thanks so much for stopping by!!!!!!!! !